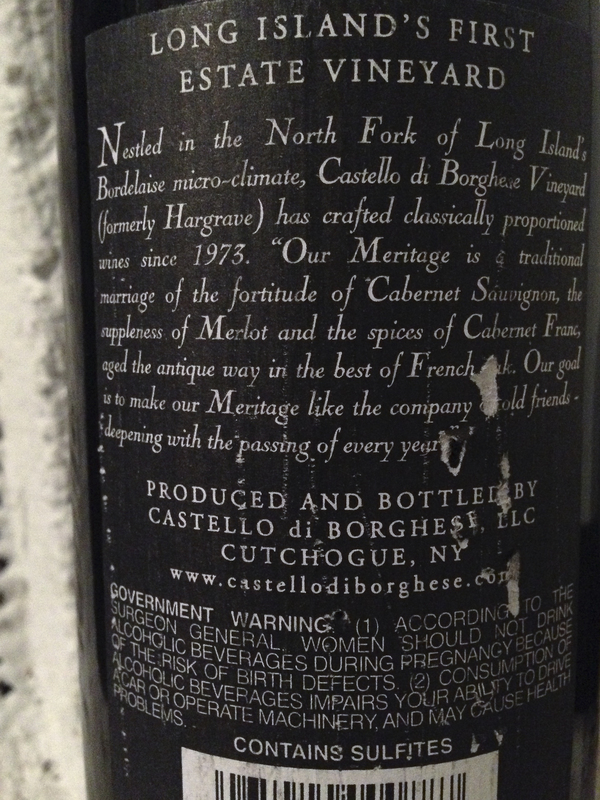 Over the years we enjoyed these wines, for special occasions, and each time it brought back great memories. Unfortunately, this past year, both Marco and Ann Marie tragically passed away within days of each other. We were members of their wine club and had talked with them on several occasions; they were always very warm and passionate. I have a small wine “cellar” that holds around 200 bottles. 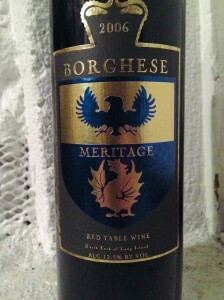 The special ones are stored at the bottom, or behind other bottles. When looking for a wine for Open That Bottle Night I discovered the last bottle (that I didn’t know remained) from the Wine Camp mixed case. 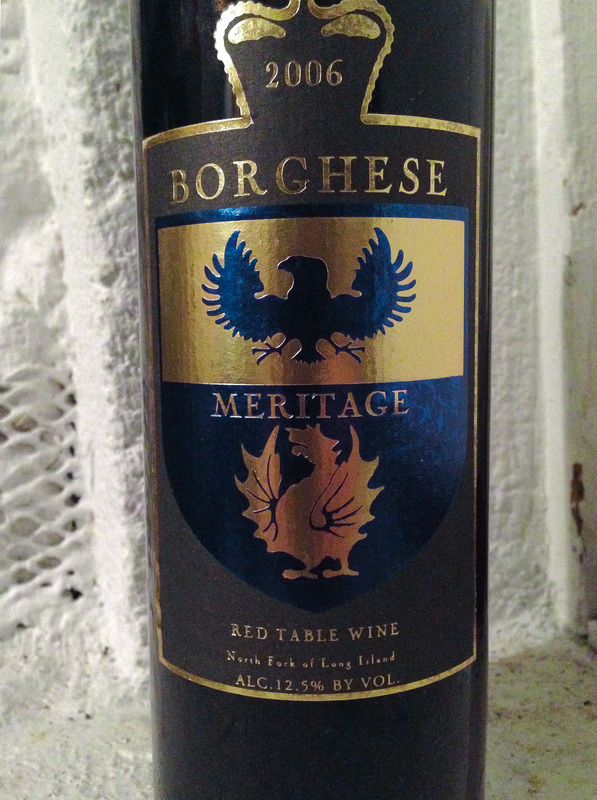 We chose to open this wine, a 2006 Castello di Borghese Meritage, to revisit that trip and more importantly to honor the lovely wine couple who are truly missed by many. 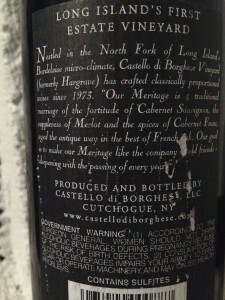 This entry was posted in Cabernet Franc, Cabernet Sauvignon, Merlot, North Fork, OTBN, Uncategorized, Wine of the Week and tagged bordeaux, Borghese, meritage, Open That Bottle Night, OTBN by toleranttaster. Bookmark the permalink.